Hi Kanika, I would like to speak with you briefly to see if you're a good fit to coach me. Please contact me at your earliest convenience. Chandan Poddar As a Life Coach, Going through vigorous self-learning & Reading Great Author's Ideas.  Hi Chandan , I would like to speak with you briefly to see if you're a good fit to coach me. Please contact me at your earliest convenience. Hi Julien, I would like to speak with you briefly to see if you're a good fit to coach me. Please contact me at your earliest convenience. Hi Adeana , I would like to speak with you briefly to see if you're a good fit to coach me. Please contact me at your earliest convenience. Hi Julius, I would like to speak with you briefly to see if you're a good fit to coach me. Please contact me at your earliest convenience. Hi Daniesha, I would like to speak with you briefly to see if you're a good fit to coach me. Please contact me at your earliest convenience.